What were we expecting when we set off for Iceland… Would we get vegetarian food? Would people know what vegetarianism is all about? Would vegetables be as expensive as gold in a land that is covered with ice, hence, is called Iceland? Icelandic food includes sheep’s head, ram’s testicles, shark and whale …and all kinds of fish….none of this sounded appetising… would we have to eat any of these? Would we have to force ourselves into eating meat as we would not have anything else to eat? Well… we were expecting all… but we knew we would not eat meat …bless a well-equipped hostel kitchen in Loft Hostel for that! We were really worried. 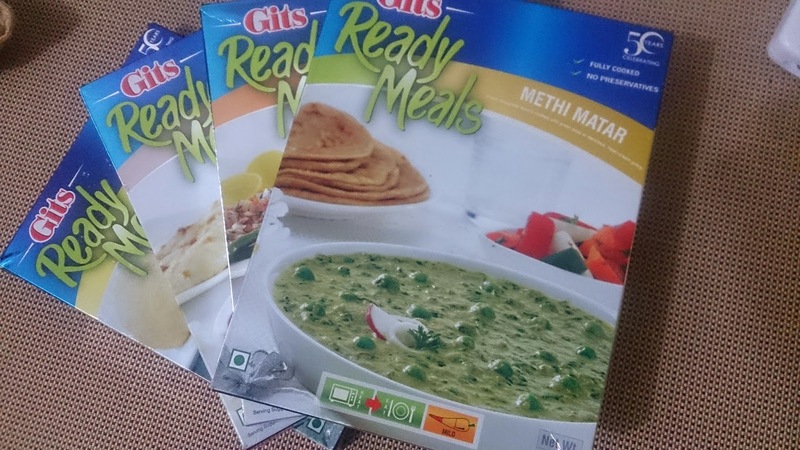 We packed some ready to eat Indian curries, ‘theplas’ (thin seasoned flat bread) and pickle. We were so sure that we would have to cook all three meals as it would be difficult to find anything warm to eat in the cold Icelandic winters. Our panic was based on our trip to the Swedish Lapland where Valentine’s day lunch was the only vegetarian meal that we relished! 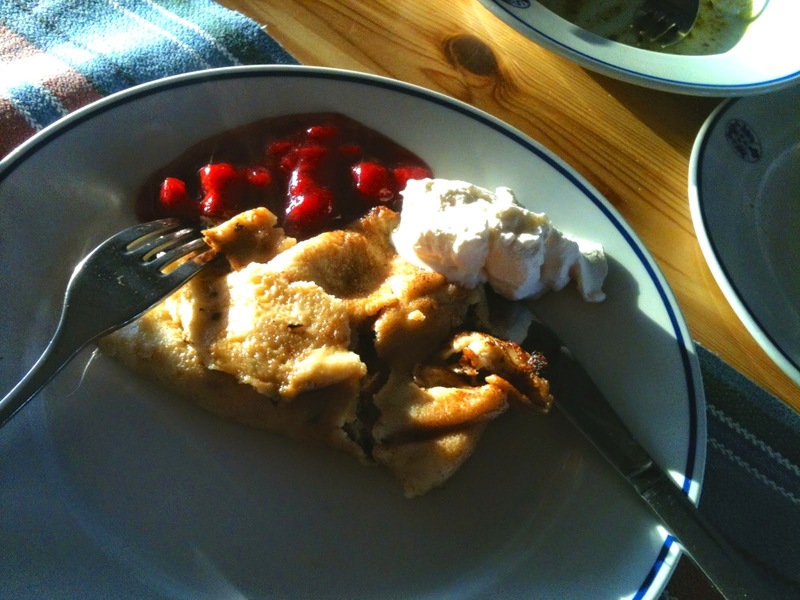 Even is Stockholm, we struggled to get a good, filling warm breakfast in winters. Needless to say, lunch and dinner seemed like a challenge in Sweden as well …there would be only two or three vegetarian dishes on the menu … and we are talking about the menu in the restaurant of a five star hotel in Stockholm. Iceland made us kiss good bye to all the panic about not getting vegetarian food. 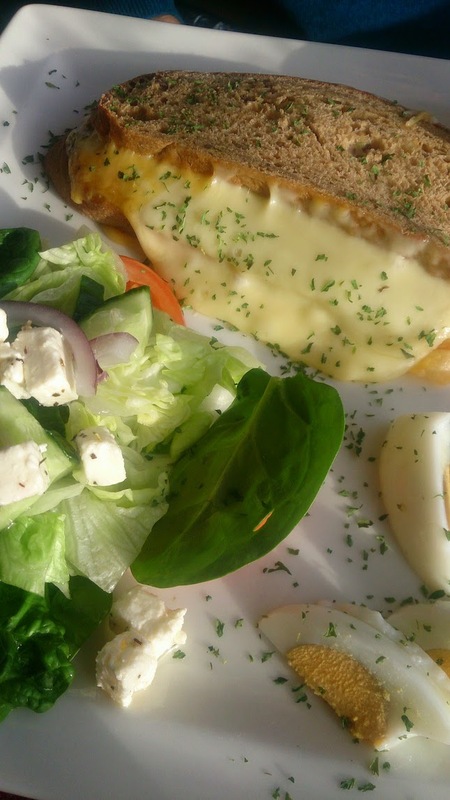 There was vegetarian food available… everywhere… even in the little towns of South Iceland! I will not go so far to to say that there was an entire vegetarian menu…but there was still plenty to choose from….sandwich, burger, soup, salad and a few more options. Also, we found it easier to manage as we eat eggs. The only place were we struggled to find a vegetarian sandwich was at the Keflavik airport! On our flight from Amsterdam to Reykjavik, we had a chat with a lovely lady in our who was part of the in-flight crew. She turned out to be a yoga instructor and a vegetarian by choice. Being super nice to us, she told us about a restaurant called Glo, which is renowned for its vegetarian food in Reykjavik. The same restaurant was recommended by the sales person at Grayline and by numerous reviews on Trip Advisor. We weren’t able to manage time to go there… but if you do… please let us know. We would love to share your input with our readers! Every hotel/restaurant/guesthouse that we went to had soup. 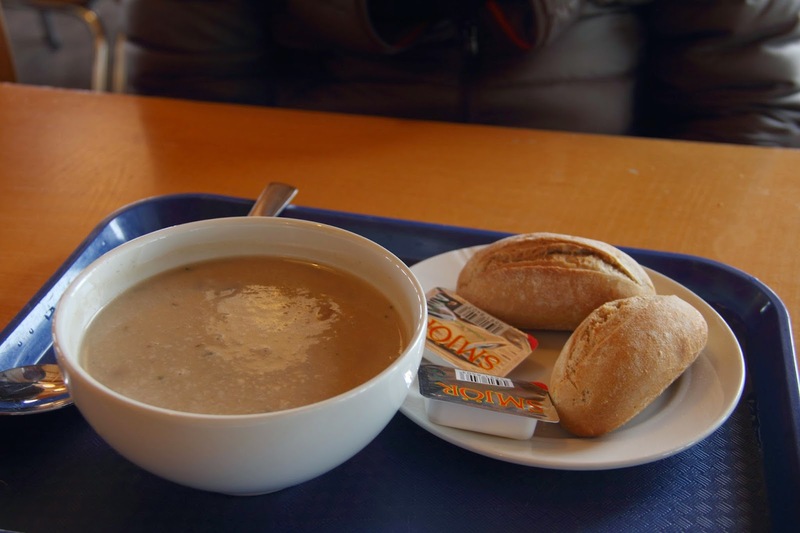 While the traditional Icelandic meat soup is very famous, these places always had a vegetarian soup. Typically, a soup bowl is accompanied by bread and butter. Once you pay, the portion is unlimited and you are allowed to take second and third helpings… the amount that can fill one person’s hungry stomach. We had some delightful mushroom soup at Cafe Gulfoss. 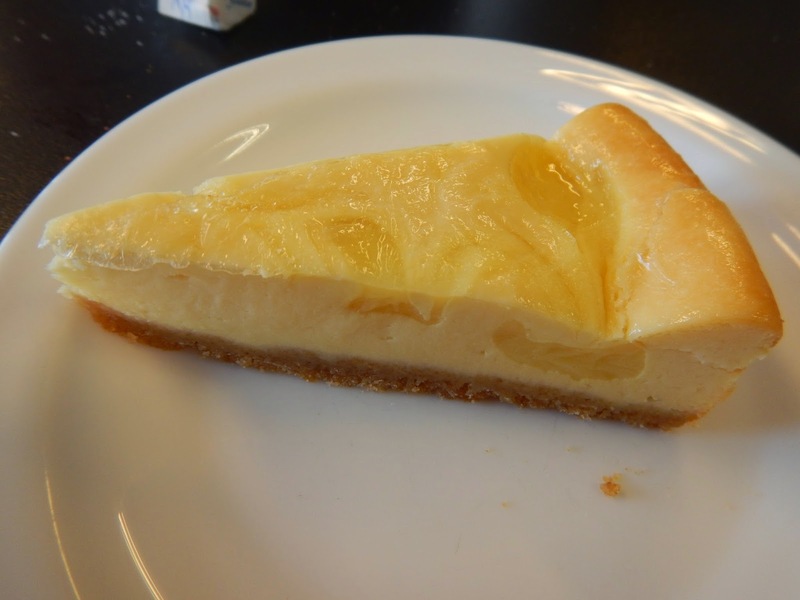 A thick, slightly sweet pancake, with a layer of cheese and then some boiled egg… I totally loved it! The sweetness was complimented by the mild cheese and eggs added the protein element that was needed. This was available in most super markets that our bus stopped while we were touring the country. Each serving was a square of about 4 inches side and I was a satiated soul after eating two of these and washing it down with some strong and sweet coffee. 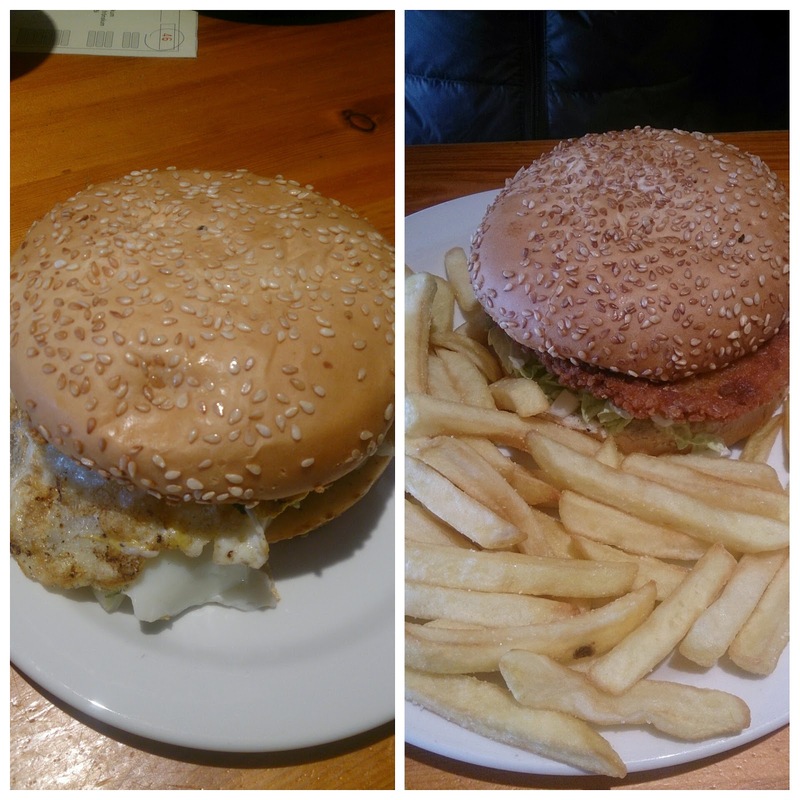 Do the Icelanders love burgers… or does every restaurant offer them to cater to the one million tourists who visit the country every year? Regardless of the reason, we were happy to see that vegetarian and egg burgers were easily available. Every burger plate came along with a generous helping of fries… not the healthiest option… but definitely a delicious option. With sub-zero temperatures of the Icelandic winters, we did not mind some deep fried food to help our body add a layer of fat! Personally, I preferred the egg burger to the vegetarian burger. There were not more than two options available for vegetarians here…one tomato and mozzarella and the other, a salad sandwich. Remember to check with the restaurant staff whether the ‘salad sandwich contains meat’ and do not trust the green sign on the package… that is no assurance of food being vegetarian. (In India, packaged food is generally marked with a red or green dot… green dot implying vegetarian food) We devoured a sandwich at the Keflavik airport, assuming that it was vegetarian… I have no clue on what kind of meat we ate! If you have a sweet tooth, there are plenty of desserts to choose from. 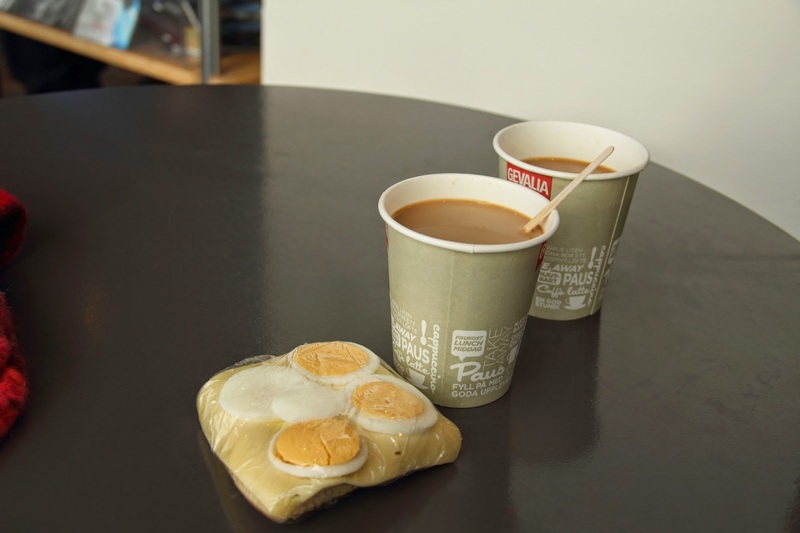 Every cafe has a range of cakes, though mostly, they contain eggs. I tried the carrot cake at a cafe near the black sand beach at Vik…yum yum yum! A giant cookie and a cup of coffee were great as a mid meal snack while travelling. We eat guilt-free while we are on a vacation. In a cold country, we tell ourselves that the calories are needed to keep us warm! We spent about USD 15 – 20 per person for eating a warm, filling meal. For a mid meal snack with a coffee, we spent about USD 7 per person. These are the cost estimates for eating in cafes and smaller restaurants mostly on tourist routes. Expect to pay a premium if you are eating at a fancy restaurant in Reykjavik.If you are a vegetarian and are planning a trip to Iceland, worry not! You will not only survive… but be happy as well! Wow, this is a great post. As a vegetarian guy, I am very worried about getting food outside Asian countries. Since Iceland is in my to do list, this post is big push for me to do it would worrying about finding vegetarian food. Hey Ankur! Had no problem in Iceland for food…infact, there are a couple of vegetarian only restaurants in Reykjavik! Plan your trip to Iceland soon…I am sure you will love the country and its people! this takes off lot from my head. is the 10-15 Dollar per person is per meal / 2 meals ( lunch and dinner) . i am assuming its per meal per person so basically for 8-9 days , i should account for atleast 1000 USD for food given we have a 4 years old kid also travelling along. Food in Europe is always expensive. Ankur and I usually budget INR 4000 per day for our meals, including a glass of wine and a beer.